Bannerman Road Community Academy contacted NBB School Shelters in need of a shelter to cover the back of two brand new refurbished early years’ classrooms. 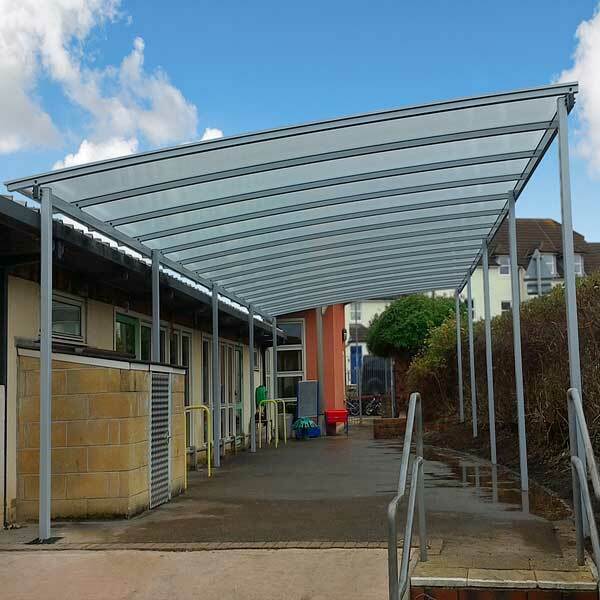 This would provide much needed protection from the elements for children, staff and parents. It was decided our Winterbourne Freestanding Shelter was the most suitable option in standard RAL9006 Silver Matt, structurally the shelter can span the distance required and aesthetically it would fit in with the existing surrounding area. The finished shelter looks impressive, and creates great covered outside space for the school!